Joseph was born in 1881 and lived at 1 and later 5 Victoria Street, Rainhill with his parents, James, a domestic gardener and Margaret. His occupation was listed as bricklayer, employed by local building firm William Lowe. Joseph, had previously enlisted in 2nd Battalion Prince of Wales Regiment, 5th South Lancashire Regiment and then at the age of 28 had enlisted with the Territorials on 1st August 1909 and served with them until 22nd February 1914. Joseph lived in two of these houses in Victoria Street. 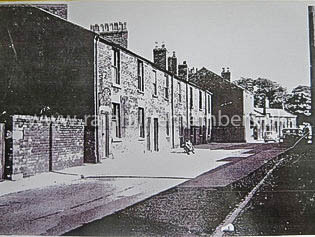 The builders yard of William Lowe was directly behind the houses.